History is dramatic—and the renowned, award-winning authors Christopher Collier and James Lincoln Collier demonstrate this in a compelling series aimed at young readers. Covering American history from the founding of Jamestown through present day, these volumes explore far beyond the dates and events of a historical chronicle to present a moving illumination of the ideas, opinions, attitudes, and tribulations that led to the birth of this great nation. 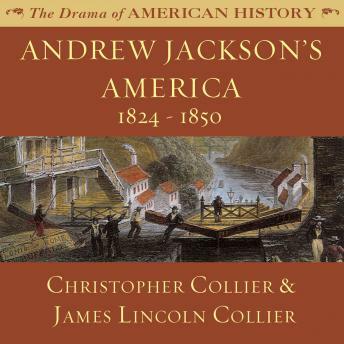 Andrew Jackson’s America examines the events and personalities, particularly President Andrew Jackson, that shaped the development of the United States during the first half of the nineteenth century. Learn about the influence that Andrew Jackson had on the way America developed, the industrial revolution and the beginning of the two-party system.